The University Open Tennis Championships, run by the UQ Tennis Club, is one of the biggest open tournaments in Queensland and one of the major sporting events played on the UQ St Lucia Campus. The 2019 University Open will be played over three weekends in July/August (20-21 July, 27-28 July & 3-4 August) with the major ranking points events being played on the first two weekends. As well as the ranking points events for the top players, the University Open includes a variety of other events suitable for all levels of players. The 2019 tournament will offer over 40 events covering Open, Junior, Senior and Grade players. However, open tournaments need sponsorship to be able to offer the required levels of prizemoney for the major ranking events. For the 49th University Open to go ahead, the tournament needs an increase in sponsorship to cover the massive increase in court hire being charged by UQ Sport for the use of the courts at UQ. The opportunity exists for national and local businesses to support this major Brisbane community sporting event. Sponosrship packages range from naming-rights sponsors to local business supporters. Although the key benefits revolve around the University Open, most of the packages incorporate 12-month exposure to the Brisbane Tennis community through the Club's other Tournmaent, Fixtures & Social Tennis programs. For more information, e-mail tournaments@uqtc.org.au. Tournaments like the University Open are hugely important for the sport of Tennis. The current top players had to start somewhere and it may well have been in the low Grade events in a local open tournament. Pat Rafter (US Open Men's Singles Champion in 1997 & 1998, Davis Cup Team 1994-2001) first played in the University Open in the 14 & Under Boys' Singles (won the University Open 14 & Under Boys' Singles in 1986 and the 18 & Under Boys' Singles in 1989). 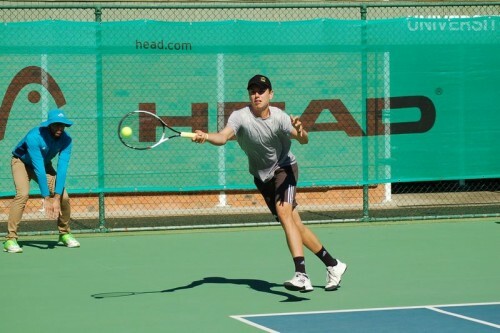 Scott Draper (Davis Cup Team 1996 & 2002) first played in the University Open in the D Grade Men's Singles (won the University Open A Grade Men's Singles in 1988 and the Open Men's Singles in 1994). 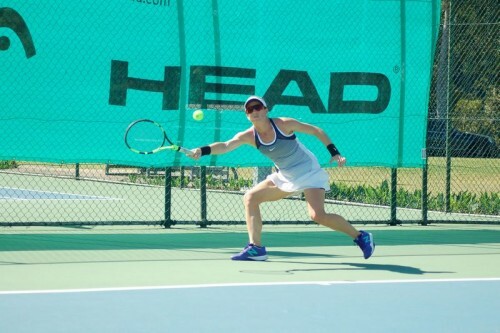 Samantha Stosur (US Open Ladies' Singles Champion 2011, Fed Cup Team 2003-2017) first played in the University Open in the C Grade Ladies' Singles & Doubles (won the University Open C Grade Ladies' Singles in 1994 and the 18 & Under Girls' Singles in 1998). Ashleigh Barty, who has just broken into the Top 10 in the WTA Rankings, played in the 2008 University Open when 11 years old (lost in the first round of the Open Ladies' Singles to the eventual winner) and Bernard Tomic played in the 2007 University Open when 14 years old (reached the Final of the Open Men's Singles).